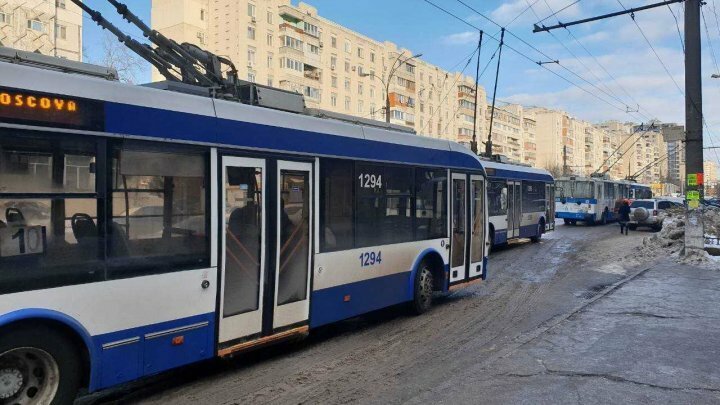 Chisinau City Hall informs that during the last three days traffic jams have been registered on the Moscow boulevard, the section of Nicolae Dimo Street - Miron Costin Street, as well as Alexander Puskin Street, due to cars parked illegally on the roadside, under the contact network. The Electric Transport Company, in cooperation with patrol inspectors, intervenes each morning to fluidize traffic. However, some trolleybus routes show deviations from the program up to one hour. The municipality appeals to drivers not to park the cars on the road today and tomorrow to allow snowmobiles to work on the widening of the road.